We know the struggle that can come with caring for a loved one with dementia. At our communities, Garden House is our memory care specific community created around the unique needs of people living with Alzheimer’s disease and other forms of dementia. We offer special programming tailored to each resident's needs and our team focuses on honoring each resident. We seek to know the meaningful details of each person's life—where they’ve been, what they’ve done—and what activities might be especially fun or meaningful to them. We strive for a family feel and positive social engagement for all of our residents and families are encouraged to engage with us. Looking for the situation that best meets the needs of your loved one can be challenging. 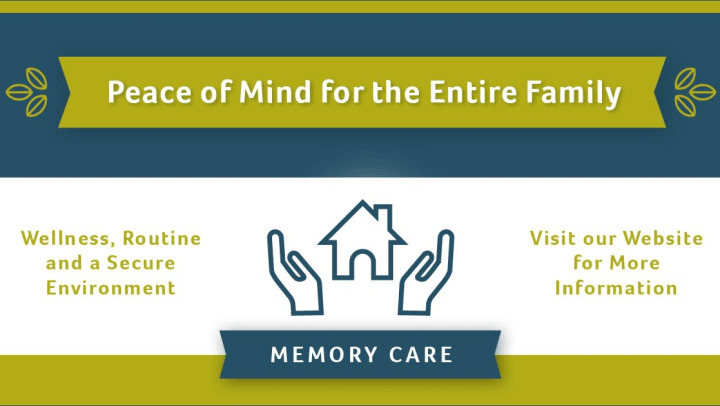 In an effort to make the search for the right care a little easier, we created this infographic to help anyone who is looking for a memory care community. To learn more about memory care offered at Merrill Gardens, visit our communities page to contact your local Merrill Gardens.